Can you tell me when will Anna University give Eighth Semester B.E./B.Tech. Examinations or Final Year Provisional Certificate and Consolidated Mark Sheets? Tell me what is the fee structure of getting the Provisional Certificate from Anna University? I am student of Anna University and from here doing UG degree searching for details about Provisional Certificate. 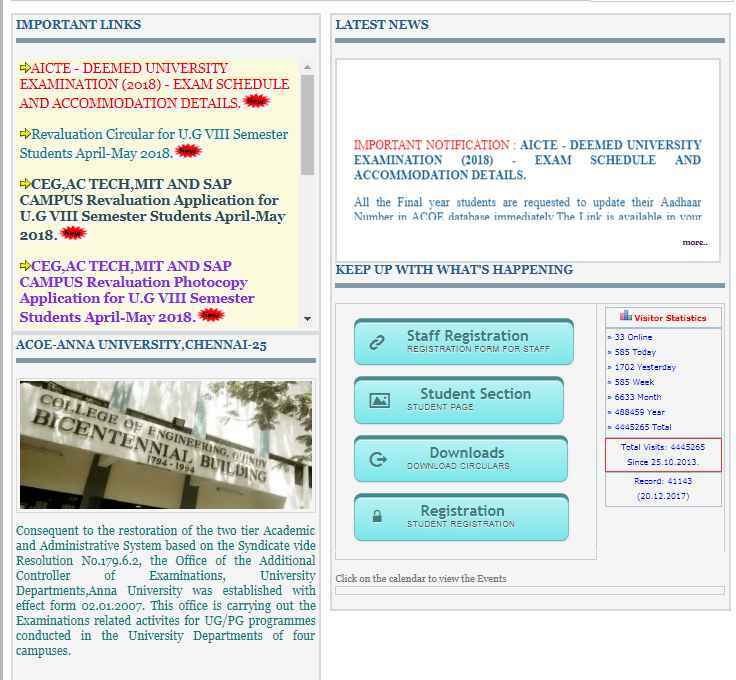 Can you tell When Will Anna University Give Provisional Certificate and also provide me process to download the Anna University Chennai provisional certificate? Degree certificates will be issued on the day of convocation/graduation that usually occurs in the months of July and August. As a 2017 passed out You can expect your degree in July 2018. However you can use your Provisional and consolidated marksheet for job interviews . 2 In the menu bar click on examination link. 4 In the important link panel click on Hall Ticket for Special Arrear Exams (Feb 2018) link. 5 Your Hall Ticket for Special Arrear Exams (Feb 2018) details will be available.